The many resource rich planets within the limits of Federation territory await exploration and settlement. Build outposts and star bases to extract the resources. Using your fleet of starships, establish supply routes that enable you to boldly go further into deep space. Avoid resource shortages by trading with your opponents and Federation neighbors. If your opponents venture too far into your space, though, you might need to divert the Klingons to drive them away... because in the end, only one can be the Federation’s greatest hero! Take up the challenge! Build, trade and settle where no one has gone before! Wil Wheaton and guests Jeri Ryan (Actress—Star Trek: Voyager, Boston Public), Kari Wahlgren (Actress, Voice Actor - Bolt, Phineas and Ferb), and Ryan Wheaton (Son of Wil) play Star Trek Catan! Prior to playing Star Trek Catan, my wife, son and myself had only had the experience of playing some board games, like Catan, via the Xbox 360. We loved playing it that way because it didn’t require such an investment to play it on the table. After some time though with the digital editions not getting as much love as the table versions, we eventually had to give in. Hence, Star Trek Catan hit out table, two times in a row and then another third the next morning. For the record, all three I lost (wife won, son came second) and I have learned not to play competitive games when sleepy (re: poor loser). All in all though, it is now our #1 family game to hit our table and we don’t have any reason to get the standard Catan as Star Trek Catan, even as a max 4 player game, still wins out. If you want to know how Catan itself fairs in the mix of all this, I recommend checking reviews specific to the base game of Catan as Star Trek Catan lacks some of the additional features the Catan expansions bring to the table and it would be unfair to judge it against them. The general premise with Star Trek Catan is to try and be the first player to hit 10 Victory Points (VP) by trading resources to build outposts (settlements) and starbases (cities). There is also Development Cards to acquire for the Longest Starfleet bonus (as well as the infamous Longest Supply Route) but the prime difference with the original Catan to Star Trek Catan is the Support Cards. As you can see, the Original Series crew are injected into Star Trek Catan to add in bonuses to the player for a maximum of two uses before they have to put it back in the pool and choose another. Of our games, Kirk, Scotty, Spock and Uhura end up in regular use with Sulu not far behind. They all have their uses depending on what is happening in your hand and on the table and for us are a welcome addition to the game. Without these, it would just be a reskin of Catan with no real true feeling of Star Trek to it beyond that of the miniatures/tiles. The set up process as well is very simple. Infact, the first proper game we played (Game #2), I had the son (13 y/o) set the game up as it was that simple and the rest of us hadn’t done that aspect yet. For once in many of our games in our collection: setting the game up is actually interesting rather than some games feeling like a chore. With myself being a sore loser at times with competitive games, I actually rate Star Trek Catan fairly high in our games. Just like the wife and son, it definitely is a go-to game now when we want to play something together. Infact, we’ll be introducing it to our family shortly whom love simple games and hate complexity. We have a few games we plan on buying in the (near?) future to introduce to them but this is one of the first we’ll be proud to have them learn and know they will love it! 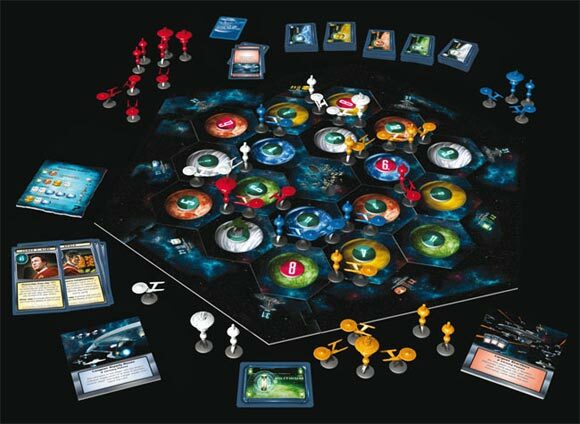 Whether you are a board game beginner or a longtime board game fan, Star Trek Catan will satisfy your cravings if you lack a copy of one of the other games but perhaps may not be favoured to those who dislike Star Trek. Our household is very Star Warsy but we enjoy the odd bit of Star Trek here and there. Even with that, we LOVED the theme of this game and highly recommend it to any one else who is standing on the fence. I’ve been checking this page for a couple days to see if anyone posts a review, but nothing yet so I guess I’ll go first! I can’t wait to see what a big Catan fan has to say though as I warn you, I am much more of a Trekkie than a Settlers of Catan player. In fact, I’ve been “silently flamed” with my review on Catan here as the diehards have largely voted no!! Oh well, like I said there, I get Catan, but I’m not a big fan. However, when I saw they were doing a Star Trek version, I was eager to drop the $50 at Target (the only place to buy it here in the States) and see if I could change my own mind. So far, yes! Having the Trek theme makes the game a lot more fun for me. And that’s a personal thing of course, but if you’re a big ST fan, I think you’ll dig this. The miniatures look great if not a little on the delicate side. I’m not sure how durable the plastic will be in the long term, but with some basic caution they should hold up fine. I also appreciate the zip lock bags included once I tear open the shipping bags for all the pieces, which there is a lot of!! I like the way you add onto outposts to turn them into starbases and the Klingon threat is pretty neat. I also really like the character cards and the impact they can have. With only a couple games under my belt, I haven’t gotten the gist of all of them, but the idea of forced trading etc. make for great player interaction. Nothing’s wore than when the dice hate you and you’re stuck without the one resource you need repeatedly! The tiles are nicely illustrated although I feel the overall look of the board is a little dark. Considering how important the corners and straight edges (shipping routes) are to Catan, the black on black esthetic is hard on the eyes. A faint blue line or something would’ve been a nice addition. There are some space clouds, but it’s not consistent. All that being said, if you like Catan and you like Trek, you’ll love this version. If you’re only into Trek, I still say you’ll want to add this game to your collection. If you’re just a big Catan fan, not sure this will add anything to your experience. The mechanics are largely the same, but the joy in Star Trek Catan is the Star Trek. It’s Catan. While Catan is a good game slapping a licensed theme onto it doesn’t make it a great game. The game does come with some decent pieces, but the starships as roads, to the space stations really break the theme for me. The 1 thing that really separates this from just a Catan money making clone is the variable player powers. Which do add something to it. 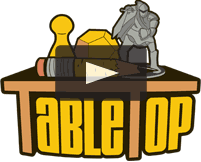 If you are a fan of both Catan and StarTrek then give it a shot. If you like one or the other, then stick with whatever of the two float your boat. 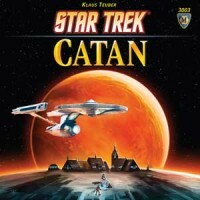 Add a Review for "Star Trek: Catan"